If you’re planning a trip to Chicago and want to be sure to squeeze in a class or two in between touring the city’s coolest neighborhoods, then you’re in luck. 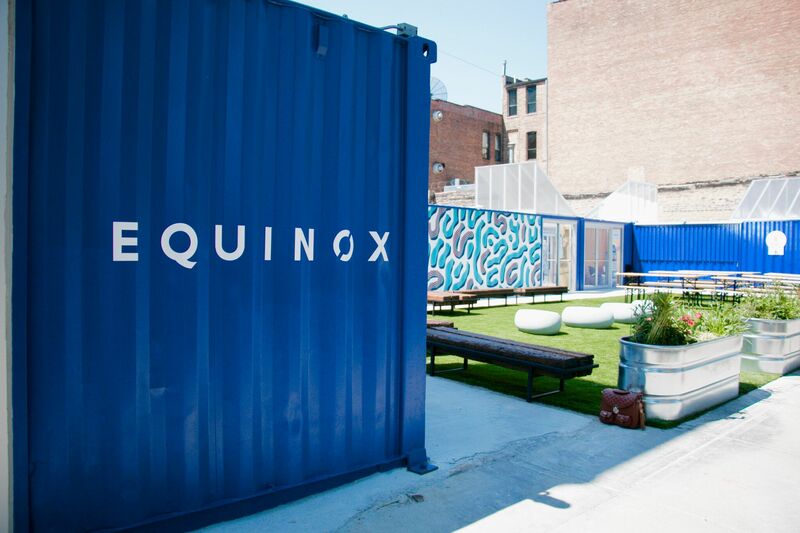 For the first time ever, Equinox has created a la carte classes that are open to anyone (classes are free for members and just $25 for non-members). 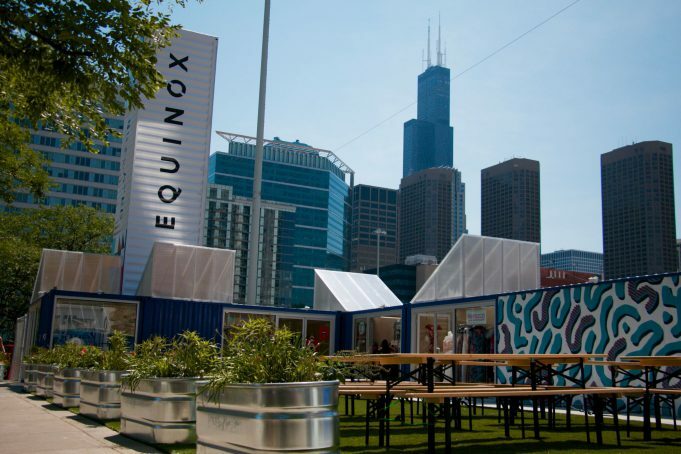 The Equinox Pop-Up (725 W. Randolph Street) features a unique retail location occupying one of the six refurbished shipping containers, courtesy of development company, Related. The developer is also behind the future mixed-use tower at this location that will include not only luxury apartments but another Equinox health club and the highly anticipated Equinox Hotel—the first in the Midwest! 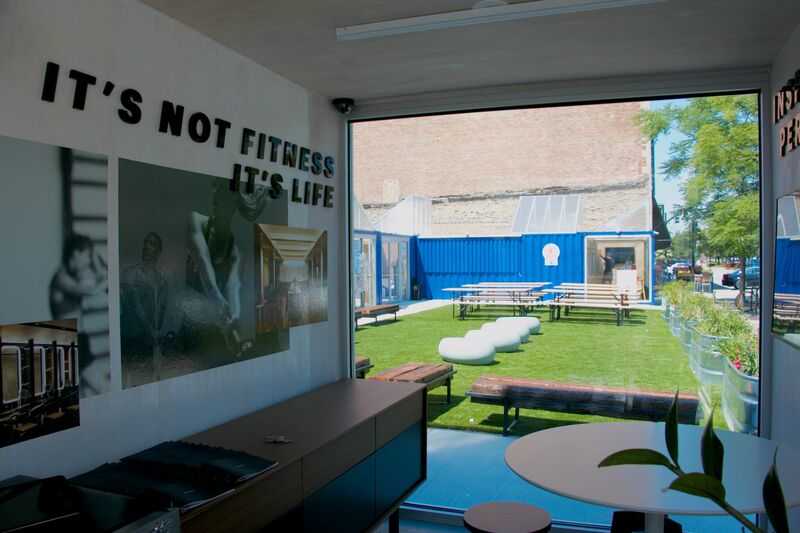 In addition to classes that include Power Yoga, MetCon3, and Stacked!, health-focused events will also take place in the 160 sq. ft. location. “This is an innovative project that we are thrilled to be a part of. 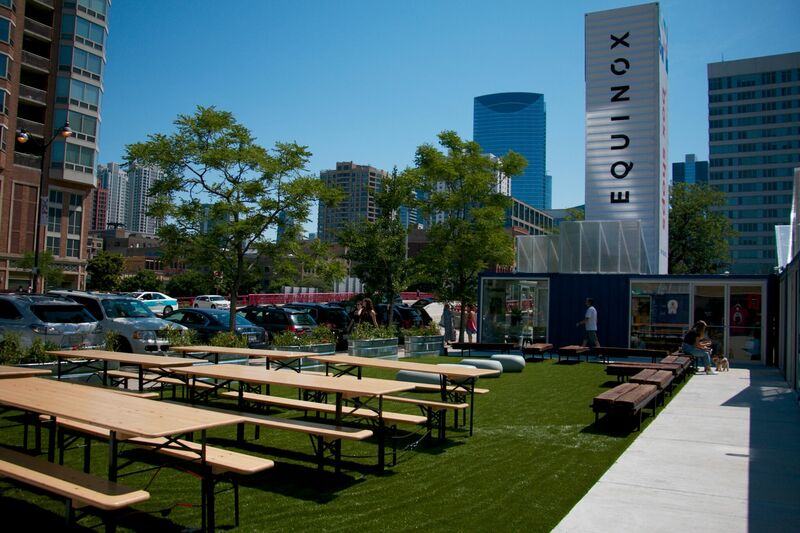 Offering our signature fitness classes and additional wellness programming at the pop-up shop is the perfect way for us to introduce the West Loop area to our commitment to self-care and showcase our signature classes in a unique environment,” says Colin Yording, Complex Manager for Equinox. And, hey, after class, it’s the perfect time to explore the West Loop—one of our favorite Chicago neighborhoods. We also suggest popping in and experiencing the Headstrong Meditation interactive lounge where guests can learn more about Equinox memberships and programs. To learn more and see the fitness schedule, click here.